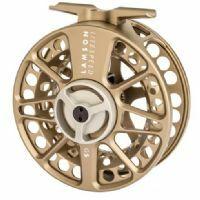 The fifth generation of the legendary Litespeed boasts a higher retrieve rate and narrower spool for improved line handling. An integrated drag cassette for a stiffer frame, and an ergonomic drag knob. A new version of our Hard Alox provides a more beautiful finish. Manufactured in the US and assembled in Boise, Idaho.